110 N Knisel Street Riverside, IA. | MLS# 20181927 | Kalona Realty, Inc.; Listings and Selling property in greater Washington and Johnson Co. area. Excellent 3 bed, 2 bath home located on a large corner lot with mature trees! This open concept home features a custom kitchen w/ black appliances, pantry, vaulted ceilings & wood floors! LR with tons of natural light. Plenty of space to entertain on 2 decks! LL includes a laundry area, W/D included + nicely finished bathroom. Plenty of space to finish the LL & create a large family room! 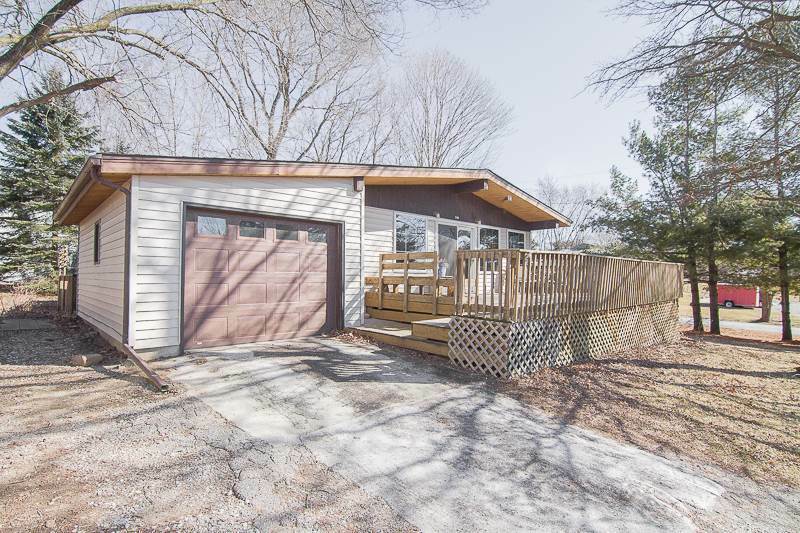 The 32 x 24 detached garage/workshop is a bonus! This home is energy efficient avg gas/electric less than $100/month!